Good morning! Welcome to the weekend, and your Weekend Reading. Weekend reading is a list of my favorite news stories, blogs, videos, and other fun matter from throughout the week. Let’s start with the Presidential Race. The Dems debated, and afterwards a New Hampshire poll showed Socialist Bernie Sanders virtually tied with Corruption Party Hillary Clinton. Meanwhile, Cilliza wrote ‘Why Bernie Sanders isn’t going to be President’ in WaPo, and Donald Trump griped that he ought to have Secret Service protection, while someone over at Quartz did some math on how much it would cost to erect the Trump border fence. Let’s look at a few people who received extra attention this week: Ben Carson and Ivanka Trump. Carson was said to have a double-digit lead in a new national poll over Clinton, but it also came to light that he only recently joined the Republican Party…meanwhile there was an interesting Politico profile puff piece on Ivanka, and here is a short piece on her response to her dad’s Megyn Kelley feud. In other news, Ligonier Ministries did a Google Hangout with Rosario Butterfield on Friday (which I didn’t get to see, but I’m sure is fantastic). Check that out here. And Crossway released a preview video of an upcoming documentary on the life of J.I. Packer. 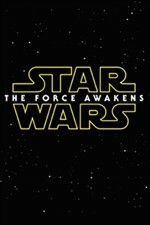 Geek Watch: Tickets for Star Wars go on sale Monday…or should I say Sunday at Midnight! John Piper wrote this week that ‘You are not enslaved to your past’ – best line, “My plea is that you resist fatalism with all your might. No, with all God’s might. Change is possible. Pursue it until you are perfected at the coming of Christ.” Speaking of Piper – his book ‘This Momentary Marriage’ is on sale at ChristianAudio.com. Tech Watch: Someone finally built some worthwhile drones... here’s another one of the Millenium Falcon…yes you read that right. Back to things of consequence…there’s a HUGE crisis brewing for Pope Francis. Most important excerpt: The seniority of the signatories shows how close the church is to civil war. Cardinal Gerhard Müller, Prefect of the Congregation of the Faith – the Church’s doctrinal watchdog – is on the list. So is Cardinal George Pell, head of the Vatican’s finances, and Cardinal Robert Sarah, in charge of the Church’s worship. GAVEL WATCH: In other political-type news, last week Rep. Kevin McCarthy pulled out of the race for Speaker of the House. One of the reasons was his inept comments about Benghazi investigation committee (led by Trey Gowdy) and how it hurt Hillary Clinton politically. Well….this article from the Wall Street Journal sets the record straight. Very informative here about all the lengths Gowdy has done to in order to keep this investigation NOT political. Speaking of great articles from WSJ…Forget Flying Commercial: The Personal Airplane is Taking off! Finally, Keith Mathison over at Ligonier posted about how influential J.C. Ryle’s book ‘Holiness’ has been in his life. He gives a short profile of the book (which is about 150 years old), and encourages modern readers to give it a shot. I can testify that it is a great book – very practical, and easy to read. Well worth checking into! That’s it! No go enjoy your beautiful (and chilly) Fall weekend!